Here at Civforce, we only employ professional and licensed Traffic Controllers. Our staff must also under-go our Company Induction to ensure that all members of our staff are familiar with and understand our range of policies and procedures. On top of this, our Traffic Controllers are required to complete and attend all client inductions whether that be for highspeed or slow speed works. We create a safer and faster deployment process by providing our Traffic Controllers with innovative commercial vehicles and associated procedures and equipment. 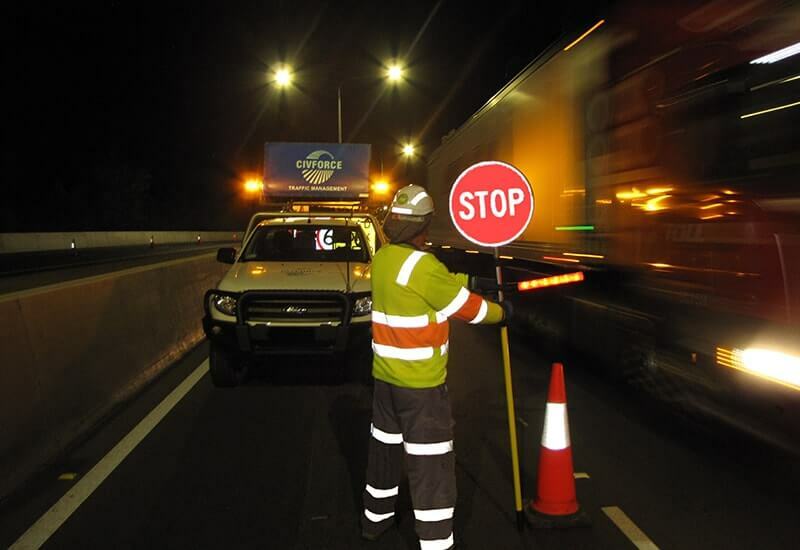 Our Cone Trucks were custom designed by Civforce Traffic Management for safer high-speed works. These unique pieces of plant require less personnel and have the carrying capacity equivalent to three standard utility vehicles. On top of this, the Cone Trucks are fitted with coloured VMS boards and enable Civforce Traffic Management to deliver further advanced traffic management solutions; this lets us stand out as true industry leaders, as we are the only entity that uses the Cone Trucks as such. For all things traffic control and traffic management, we look forward to hearing from you. 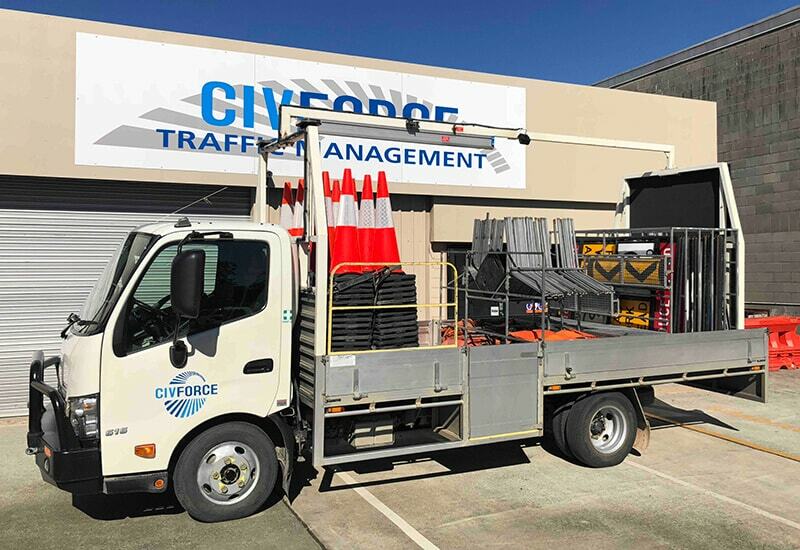 At Civforce we are committed to providing safe, cost-efficient traffic management solutions. We offer quality service in traffic control, plans and permits, equipment hire, training and employment. © 2019 Civforce Traffic Management. All Rights Reserved.